Don't be afraid to ask for the origin of the word because the Spelling Bee is coming to Cub Run. The Bee will take place February 7th at 6pm in the Cub Run Cafeteria and there will be a rehearsal after school on February 6th. Students in grades 3-6 are eligible to sign up. 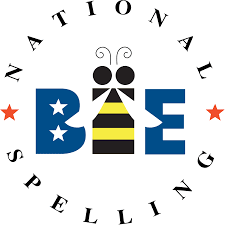 The winner of the Spelling Bee will be go on to the Fairfax County Spelling Bee in March. Remember, if you don't hear the bell ring, then you are still in. Also, we are always in need of judges for the competition. The sign up genius will be posted here soon - be sure to check back and sign up if you're interested. Click here to sign up for the Cub Run Spelling Bee.